Cover his feet with the basics. 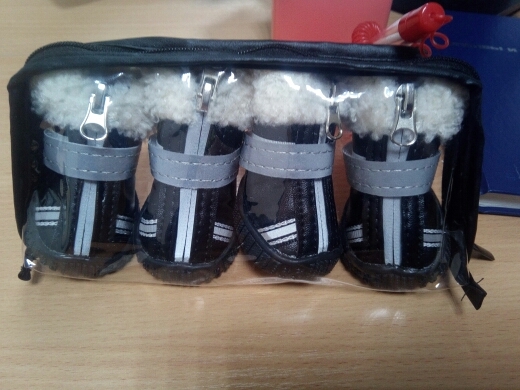 These fashionable shoes for dogs have the durable, everyday style for long walks out in the great outdoor! Keep your pug warm this winter with these fashionable and cozy boots. Transcend trends with a comfortable and durable boot set. Show off his classic style, the black or the red are timeless. Oily or wet environments won't tarnish the appearance of the waterproof polyurethane outsoles. Fast shipping, all as described. Cool boots, moskvy came for 12 days. My sneeze foot 4,3 × 3, died like normal, not walk. Later write. Shoes super-duper, 2 weeks Len.